Draft: 2005, San Francisco Giants, 28th rd. Sergio Francisco Romo...has two sons, Rilen and Ryder...attended Brawley Union High School (CA)...was not recruited out of high school...attended Orange Coast Community College (CA), then transferred to Arizona Western Junior College and pitched there for two years...transferred to University of North Alabama, and then Colorado Mesa University, and compiled a 24-4 record in two seasons at the Division II level...appeared for Mexico in the 2013 and 2017 Word Baseball Classics...his father, Frank, was born to a Mexican farm laborer who immigrated to the United States when Frank was a baby...Frank played first base for a semi-pro team in Mexicali, close to the family's home in Brawley...rode BMX bikes in high school...as a sophomore, suffered a concussion and a broken collarbone when he came out of a flip and landed on his head... was airlifted to a trauma center, where doctors initially believed he was paralyzed...did not regain full consciousness for five days after the accident. Set a career high with 73 appearances for Tampa Bay, which ranked tied for fourth in the American League...Did not earn first of his 25 saves until May 29 at Oakland; from that date on, ranked sixth in the Majors (fourth in AL) in saves...Made five starts as the "opener," marking the first Major League starts of his career. According to Stats LLC, his 588 relief appearances prior to the starts were the fourth-most all-time, behind Troy Percival (638), Todd Jones (632), and Chuck McElroy (603)...Became only third pitcher in MLB history with as many as five starts and 25 saves in the same season, joining Jenrry Meijia (7/28 in 2014) and Ryan Dempster (6/33 in 2004)...Posted a 1.40 ERA (38.2 ip/6 er) in 41 appearances from June 1-September 14...Surrendered first grand slam of career on April 20 vs. Minnesota (Eddie Rosario), in his 577th appearance...Made first two career starts on May 19 & 20, becoming first pitcher to start back-to-back days since Zack Greinke in 2012... According to the Elias Sports Bureau, from May 19-June 17 he became first pitcher since Miguel Batista in 2004 to have five starts and three saves in a 30-day span, and from May 19-27 became first pitcher with four starts in a nine-day span since Claude Osteen in 1975...On July 25 vs. the Yankees, recorded final two outs of the eighth inning, moved to third base to start the ninth, and returned to the mound for the save, becoming first pitcher to also appear at third base in a game since Philadelphia's Bill Wilson on August 6, 1971 at Pittsburgh...Also became first AL pitcher to appear defensively at another position and record a save since Milwaukee's Chuck Crim on June 6, 1989 at Toronto (first base)...From August 7-9 vs. Baltimore, became first pitcher in Tampa Bay history to record a win, loss, and save in a three-game series, and first in MLB since Cody Allen in 2014. Was one of three veteran relievers acquired by the Rays in the days leading up to the July 31 trade deadline, along with Dan Jennings and Steve Cishek…was acquired from the Dodgers on July 22 in exchange for cash considerations... Went 2-0 with a 1.47 ERA (30.2-IP, 5-ER) in 25 apps after the trade…made his Rays debut on July 24 vs. BAL…from that date through the end of the season, ranked 4th in the AL in ERA (min. 20 IP)…in comparison, was 1-1 with a 6.12 ERA (25-IP, 17-ER) in 30 apps with the Dodgers... Crafted a 0.43 ERA (21-IP, 1-ER) in his last 17 apps beginning Aug 12, the lowest ERA in the majors (min. 15 IP) over that span... Between the two organizations, yielded 9 HR to tie a career high (2014)…yielded a career-high 7 HR against right-handed batters…did not allow a homer in his last 19 apps spanning 24.2 IP... From May 28-Aug 12, had a career-long streak of 20 consecutive apps with a strikeout... Pitched for the Charros de Jalisco in the Mexican Pacific League for a second consecutive year... WORLD BASEBALL CLASSIC: Pitched for Mexico in the World Baseball Classic during spring training, going 0-0 with a 20.25 ERA (1.1- IP, 3-ER) in 2 apps…it was the second consecutive tournament he pitched for Team Mexico. Went 1-0 with four saves and a 2.64 ERA in 40 games with the Giants...Posted a 1.08 WHIP, while striking out 33 against only seven walks in 30.2 innings...Appeared in just four games before being placed on the disabled list with a right forearm flexor strain from April 15-July 4...Allowed three runs in 2.0 innings in two postseason appearances against the Cubs in the NLDS. Went 0-5 with a 2.98 ERA in a career-high 70 relief appearances...struck out a career-best 71 batters in 57.1 innings....Gave up just three home runs after allowing a career-high nine in 2014....Has posted an ERA under 3.00 in six of his eight big league seasons....Allowed just 18.4% of his inherited runners to score (7/38), the eighth-lowest figure in the NL....Right-handed batters were 25-for-147 (.170) off him with 64 strikeouts...however, left-handed batters hit .371 (26-for-70)....Only NYM's Dillion Gee (.395) and PHI's Chad Billingsley (.394) had higher opponent averages against lefties (min. of 70 ABs). Went 6-4 with a 3.72 ERA (24er, 58.0ip) while going 23-for-28 in save chances in 64 relief outings in his seventh season with SF...Allowed career highs in runs and home runs and lost his closer's role at the end of June after several blown saves...His 23 saves were tied for the 14th-most in the National League...Surrendered nine home runs, the most he's allowed in a full season in his career and tied for the fifth-most among NL relievers...Was relieved of the Giants' closer duties on June 29 as he endured a stretch in which he blew three of five save chances while allowing nine runs on 10 hits in 4.1 innings (June 13-28)...Despite his struggles, finished the season on a strong note, allowing just two runs over his final 19.1 innings (0.93 ERA, 23 games). 2013 All-Star completed his sixth season in the big leagues, going 5-8 with a 2.54 ERA (17er, 60.1ip) and 38 saves in 43 chances. His 38 saves were a career-high and tied for the thirdmost in the NL. Became just the sixth pitcher in Giants history to record 30 saves in a season...joined Robb Nen (five), Rod Beck (four), Brian Wilson (four), Tim Worrell (one) and Greg Minton (one) in the exclusive club. His five wins matched his career-high (also five wins in 2009 and 2010)...also suffered a career-high eight losses. Held right-handed hitters to a .183 (24-for-131) average. Played for team Mexico in the 2013 WBC, going 0-1 with a 9.00 ERA (2er, 2.0ip) and one save. Recorded 10 saves in April, the second-most by a Giants pitcher in the season's opening month in SF-era history, behind Rod Beck's 11 rescues in 1997. Recorded his first career four strikeout outing on July 23 vs. Cincinnati. Was selected by manager Bruce Bochy to his first career All-Star team as an injury replacement for Pittsburgh's Jeff Locke. ad a career month in August, going 1-0 with a 0.87 ERA (1er, 10.1ip) and going 9-for-9 in save opportunities. Held opponents scoreless in 17 of his last 19 games and was 11-for-his-last-12 in save opportunities. Continued his dominance on the mound, going 4-2with a career-best 14 saves while fashioning a 1.79 ERA (11er, 55.1ip), the fourth-lowest figure among all NL relievers. Only Craig Kimbrel (1.01), Aroldis Chapman (1.51) and Eric O'Flaherty (1.73) had lower ERA's than Romo. Blanked opponents in 63 of 69 games, including 27 of hislast 29. His 69 games marked a career-high. Went 14-for-15 in save chances...earned a save in nine of his last 20 outings, becoming the Giants' full-time closer in late August and throughout the playoffs. Allowed only nine hits in 51 at-bats with runners in scoring position (.176). Held opponents to a .185 avg. against (37-for-200), the fourth-lowest mark among NL relievers. Gave up just two extra base hits to left-handed batters all year (one double, one homer in 54 at-bats). Allowed nine of 43 inherited runners to score (20.9%), the 12th-lowest figure in the NL. Matched his career-high for runs allowed on July 30 vs. New York-NL after giving up four runs and four hits in just 0.2 innings...allowed a game-tying two-run home run to Scott Hairston in the eighth and then a pair of go-ahead runs...had allowed a total of just four runs all season prior to this outing. Produced one of best seasons of any Giants reliever, fashioning 3rd-lowest ERA among NLrelievers (1.50 ERA), who tossed at least 45.0 innings, and fashioning 14-to-1 strikeout-walk ratio(70 Ks, 5 BBs), best in Majors. His season WHIP of 0.71 in 48.0 innings was best inMajors with at least 30 innings pitched ... His 71% strike percentage was 2nd-best in NL for anypitcher with more than 20.0 innings pitched (Atlanta's KrisMedlen, 78%) ... His 81.8% (27-of-33) inherited runners stranded rate was5th-best in NL ... Registered at least 1 strikeout in 48 of 65 games...hisstrikeout to walk ratio of 14-to-1 was highest in SF-erahistory (min. 45.0ip) and highest in Majors since DennisEckersley posted 18.25-to-1 mark in 1990 ... Ranked 3rd in NL with .150 avg. against (18-for-120) vs.right-handed batters (min. 75 BF) ... Overall, his opponents avg. against of .173 (29-for-168)was 6th-lowest among NL relievers with min. of 45.0innings ... Fashioned 0.78 ERA (2er, 23.0ip) in 30 games against NLWest opponents ... Became 5th reliever in Major League history since 1919to throw what amounted to perfect game, retiring 31consecutive batters faced over 15 game stretch fromJuly 4-Aug. 6...his streak ended on Aug. 9 as he allowedleadoff 2B to PIT's Andrew McCutchen in 8th inning...was10 shy of matching NL record, set by former Giant Jim Barrin 1972 ... Was on 15-day disabled list from Aug. 16-28 with inflammationin his right elbow...missed total of 16 games withinjury ... Had longest scoreless streak of his career and 9thlongestin National League from June 30-Sept. 23, logging21.2-scoreless innings...his streak was snapped in his2nd-to-last appearance of season vs. Colorado ... His 0.48 ERA following All-Star break was 2nd-lowestfigure in NL (min. of 15.0ip) ... Ended season by allowing just 1 run in his final 30 games(23.1ip) while allowing only 11 hits in 78 at-bats (.141). Was one of Bruce Bochy's most often used relievers, working career-high 68 games (2nd-most on Giants), 62.0 innings and logging impressive 5.00 strikeout-walk ratio, which ranked 6th-best among NL relievers ... Inherited 46 runners (T12th-most in NL) and allowed just 14 to score ... Led team and was tied for 11th in NL with 21 holds ... Posted 10th-lowest ERA among NL relievers who threw at least 60.0 innings ... 3 of his 6 HRs allowed were game changing HRs: April 18 at LAD - 2-run game-winning HR to Manny Ramirez in 8th; May 4 at Florida - 3-run go-ahead HR to Dan Uggla in 8th; May 7 at NYM - allowed 2-run walk-off HR to Rod Barajas ... Following that HR to Barajas on May 7th, settled down and solidified himself as one of top relievers in NL, blanking opponents in 48 of his final 54 games, while posting 5-0 record and fashioning 1.50 ERA (8er, 48.0ip) with .202 opponents avg. against (35-for-173)...that 1.50 ERA beginning May 9th was 4th-lowest among NL relievers ... Held right-handed hitters to .185 avg. against (27-for-146), 12th-lowest figure in NL (min. 100 ABs) ... Appeared in 8th inning or later in 47 of his 68 appearances. POSTSEASON HIGHLIGHTS:In 6 postseason appearances, surrendered 3 runs on 6 hits while going 0-for-2 in save opportunities ... Made his postseason debut in Game 2 of LDS vs. Atlanta on Oct. 8 and threw just 8 pitches while being tagged for 2 runs on 2 hits. Young hurler found success at big league level, becoming one of Giants' bestrelievers in late innings...posted 3-1 record with 2.12 ERA (8er, 34.0ip) in 29 relief appearancesfor San Francisco...struck out 33 batters in just 34.0 innings and held opposing hitters to .138 avg.against (16-for-116) with left-handers at .083 (4-for-48) and right-handers at .176 (12-for-68)...wasespecially tough on road, earning all 3 victories away from AT&T Park and fashioning 0.98 ERA(2er, 18.1ip) in 14 games...allowed just 1 hit and 1 walk in 4.2 innings in his 5 save situations,holding opponents at .067 (1-for-15) mark...retired 26 of 29 (89.6%) 1st batters faced, allowingjust 1 hit and 2 hit by pitches...dominated hitters in 15 8th inning appearances, allowing just 1hit in 41 at-bats (.024 avg.) with 13 K's and just 2 walks...inherited 22 runners (tied for 7th-moston club) and allowed just 3 to score (86.3%)...was unscored upon in 24 of 29 games, including17.2-inning scoreless streak Aug. 18-end of season...that scoreless stretch was longest by SFhurler in 2008 and tied for 12th-longeststreak by an NL pitcher...pitchedextremely well against NL West rivalDodgers, appearing in 6 games andtossing 9.0-shutout innings with 8strikeouts, while holding LA to 1 hit in28 at-bats (.036)...like Alex Hinshaw,was not even in Major League campduring Spring Training...had contractpurchased June 24...made ML debutJune 26 at Cleveland, finishing gamewith 1.0-scoreless inning of relief...struck out 2 batters and ended inningon called strikeout to David Dellucci...factored into his 1st decision after 6outings and received 1st ML career lossJuly 10 at NYM...tossed 1.2 innings,however surrendered 1st ML HR toFernando Tatis...earned 1st ML winAug. 1 in San Diego, tossing scoreless9th inning in tie game...allowed season-high 5 runs (4er) on 4 hits Aug. 5vs. Atlanta...without that effort, wouldhave owned 1.09 ERA (4er, 33.0ip) in2008...was designated for assignment Aug. 6, but cleared waivers and was optioned to Fresno following day...was recalled Aug. 16 anddid not allow run over his final 13 games, tossing 17.2-scoreless innings and allowing .073 avg.against (4-for-55)...notched 2nd big league victory Sept. 14 at San Diego, pitching scoreless 9th inGiants' 8-6 win...matched career-high with 3.0-inning effort (3so) Sept. 21 at Los Angeles whileposting 3rd victory in SF's 1-0, 11-inning triumph...retired 20 of his final 22 batters faced...went 1-3 with 11 saves and 3.27 ERA (12er, 33.0ip) with 37 K's and 9 BBs in 27 games betweenConnecticut and Fresno in 2008. Capped superb season with being named Class A Advanced Relief Pitcher of Year by MiLB.com,finishing campaign with 6-2 record and 1.36 ERA (10er, 66.1ip), 9 saves and 106 strikeouts in 41relief appearances ... His 14.38 strikeouts per 9.0 innings ratio was 3rd-bestmark among all minor league pitchers while his .155 (35-for-226) avg. against was 4th-best in minors ... Registered at least 1 strikeout in 37 of his 41 outings. Was named to South Atlantic League mid-season All-Star team in just his 2nd professional season ... Bounced in and out of starting rotation, going 7-0 with1.91 ERA (12er, 56.2ip) in 10 starts and 3-2 with 4 savesand 3.28 ERA (17er, 46.2ip) in 21 relief appearances. Made professional debut with Giants' short-season affiliate, Salem-Keizer...led Northwest Leaguewith 7 victories and ranked 8th with 2.75 ERA. 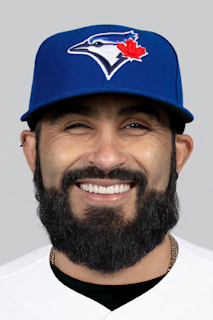 February 15, 2019 Miami Marlins signed free agent RHP Sergio Romo. January 29, 2019 RHP Sergio Romo assigned to Mexico. December 4, 2018 Charros de Jalisco signed free agent RHP Sergio Romo. October 29, 2018 RHP Sergio Romo elected free agency. February 13, 2018 Tampa Bay Rays signed free agent RHP Sergio Romo. December 8, 2017 RHP Sergio Romo assigned to Charros de Jalisco. November 2, 2017 RHP Sergio Romo elected free agency. July 24, 2017 Tampa Bay Rays activated RHP Sergio Romo. July 22, 2017 Los Angeles Dodgers traded RHP Sergio Romo to Tampa Bay Rays for cash. July 20, 2017 Los Angeles Dodgers designated RHP Sergio Romo for assignment. June 19, 2017 Los Angeles Dodgers activated RHP Sergio Romo from the 10-day disabled list. June 14, 2017 Los Angeles Dodgers sent RHP Sergio Romo on a rehab assignment to Rancho Cucamonga Quakes. February 15, 2017 Los Angeles Dodgers signed free agent RHP Sergio Romo. January 29, 2017 RHP Sergio Romo assigned to Mexico. December 31, 2016 RHP Sergio Romo transferred to Caneros de los Mochis from Charros de Jalisco. December 6, 2016 RHP Sergio Romo assigned to Charros de Jalisco. November 3, 2016 RHP Sergio Romo elected free agency. July 4, 2016 San Francisco Giants activated RHP Sergio Romo from the 60-day disabled list. June 30, 2016 San Francisco Giants sent RHP Sergio Romo on a rehab assignment to Sacramento River Cats. June 26, 2016 San Francisco Giants sent RHP Sergio Romo on a rehab assignment to San Jose Giants. June 22, 2016 San Francisco Giants sent RHP Sergio Romo on a rehab assignment to Sacramento River Cats. June 17, 2016 San Francisco Giants sent RHP Sergio Romo on a rehab assignment to San Jose Giants. May 23, 2016 San Francisco Giants sent RHP Sergio Romo on a rehab assignment to Sacramento River Cats. December 22, 2014 San Francisco Giants signed free agent RHP Sergio Romo. October 30, 2014 RHP Sergio Romo elected free agency. August 28, 2011 San Francisco Giants activated RHP Sergio Romo from the 15-day disabled list. August 26, 2011 sent RHP Sergio Romo on a rehab assignment to AZL Giants. August 16, 2011 San Francisco Giants placed RHP Sergio Romo on the 15-day disabled list retroactive to August 10, 2011. Right elbow inflammation. May 30, 2009 San Francisco Giants activated RHP Sergio Romo from the 15-day disabled list. May 27, 2009 RHP Sergio Romo roster status changed by Fresno Grizzlies. May 21, 2009 San Jose Giants sent RHP Sergio Romo on a rehab assignment to Fresno Grizzlies. May 19, 2009 Fresno Grizzlies sent RHP Sergio Romo on a rehab assignment to San Jose Giants. May 18, 2009 San Francisco Giants sent RHP Sergio Romo on a rehab assignment to Fresno Grizzlies. May 14, 2009 San Francisco Giants sent RHP Sergio Romo on a rehab assignment to San Jose Giants. March 27, 2009 San Francisco Giants placed RHP Sergio Romo on the 15-day disabled list.